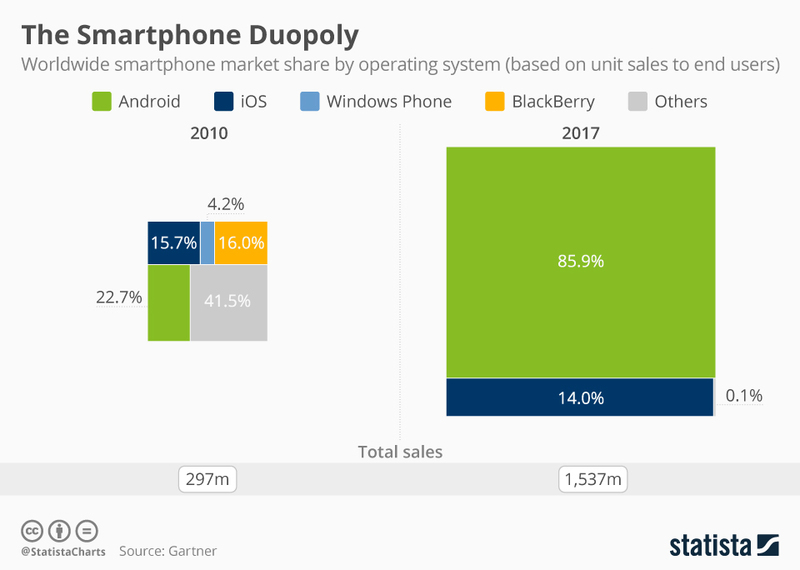 Back in 2010, the smartphone market was quite fragmented. BlackBerry was still going strong, Symbian was present on millions of Nokia phones and Samsung was still experimenting with its own operating system, Bada. For app developers and publishers alike, it wasn’t easy to decide which platforms to support and which ones to ignore. Nowadays, things are much easier as there are just two relevant smartphone platforms left. 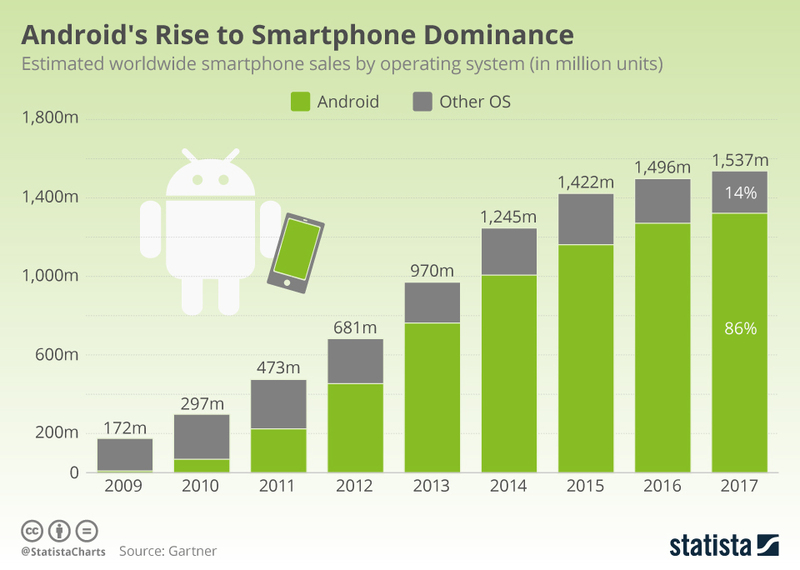 As the infographic below illustrates, devices running Android and iOS accounted for 99.9% of global smartphone sales to end users in 2017, according to market research firm Gartner. All other platforms, including former market leaders BlackBerry and Microsoft’s Windows Phone have been rendered completely irrelevant.